The rescue of Jews in Nazi-occupied Holland is a story of unimaginable courage and faith. As told by those who lived through the Nazi terror, this evocative documentary recounts what it was like for Dutch Jews to face systematic isolation, persecution and elimination. Our subjects were mere children at the time. Children who witnessed their family and friends being arrested and dragged away Ü and, for most, never to be seen again. Children for whom unbearable pain and loss was cruelly compressed into a single experience of overwhelming terror. Hitler's plan to eliminate an entire race of people may have succeeded if not for those who saw the lie in his quest for perfection, those willing to stand against the Nazi evilÜthe Dutch resistance. 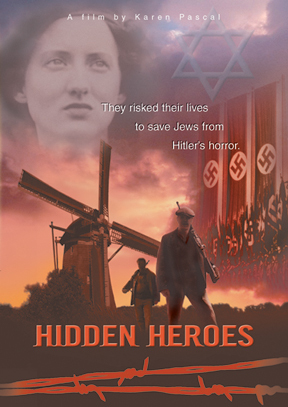 They were ordinary people willing to risk their lives and the lives of their family to shelter and save Dutch Jews. These were Holland°s Hidden Heroes.